Getting your news out can be challenging, whether you’re hitting up a journalist, trying to get an editor’s attention or hoping to leverage the reach of an influencer. You’re competing against hundreds of other businesses with PR vets on staff, and they are jamming the inboxes of the people you’re trying to reach. Additionally, between 1994 and 2014, newsrooms have shed over 20,000 jobs, representing a 39 percent decline. That means that there are fewer people to pitch to, and they are greatly outnumbered by PR pros. If you’ve been hitting a wall with your messaging — take heart. Getting the right people to listen takes a lot of time and effort. The days of simply crafting a pitch and blasting it out are gone. You need to zero in on the top influencers (this includes reporters) who have valuable audiences you want to reach. Make connections, add value to the relationship without the expectation of reciprocity and maintain your connections. Then, and only then, will the time come that they’ll pick your familiar voice out from the crowd clamoring for their attention. 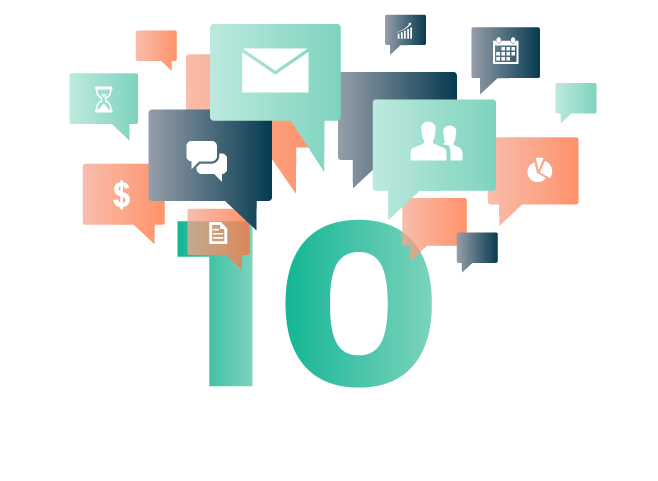 Read on to learn more about 10 ways you can hone your media relations skills in this new era. First, get organized. Update your bio to make it interesting to a reporter. Next, use a media database to create a list of journalists to target. Media databases make it quick and easy to identify and engage with influencers related to your brand. Follow media outlets on Facebook to stay current on the topics and stories the publication is creating content around. You can also subscribe to different news feeds using tools like Feedly. Staying on top of the news influencers are creating can inform your content and pitching strategies. Don’t forget to engage with influencers on social to build rapport. This includes leaving insightful comments on their work, engaging in social conversations and “liking” their posts. The key is to be genuine and add value, reporters will smell pandering a mile away. Also, if you have a relationship with an influencer (don’t send a cold invite if you’ve never communicated with them before), go ahead and connect with them on LinkedIn. When requesting a connection, replace the automated messaging with a few sentences about how you know each other. Once you’re connected, share links to reporters’ stories with your audience. Pro Tip: Share your own thoughts, while attributing links, to stand out from others talking about the same story. Build word-of-mouth publicity on social media. Motivate your audience to talk about your brand by creating memorable experiences, such as providing outstanding customer service or announcing the launch of a new product in a unique way. The buzz will attract journalists. Then promote your coverage — it could snowball into more publicity from smaller, larger or niche outlets. Be sure to tweet facts, statistics or quotes from your story as intriguing blurbs may appeal to a reporter looking for an angle on a similar story. And use relevant hashtags to get on the radar of those following trends. Look to pop culture, current events and industry news for content ideas. Consider turning a current event or hot trend into a report, article or blog post to attract attention. Blog often, and consistently create unique, timely and informative content to position your brand as a go-to source. Look for guest blogging opportunities, too. Create white papers to showcase your industry knowledge and to position yourself as an expert — one that reporters may want to consult for a story. Also, consider starting an e-mail newsletter and invite journalists to subscribe. If they’re consistently looking at your content, they’ll remember your brand when it’s time to write a story. Be creative with your content. Keep in mind that visuals, such as charts, infographics or video lend themselves to sharing. If you can get a lot of shares and discussion around a piece of content, reporters will follow. Pro Tip: Use Facebook ads to get targeted content in front of media outlets and reporters. Meet reporters at public events. A reporter will be more likely to remember your brand if they engage with you socially than if you only reach out to them online. You can also invite influencers to your events. Personalize your invitation by highlighting topics or speakers they would find interesting. Another tactic is to speak at an event where many reporters will be present. It’s a great way to instantly illustrate your thought leadership, credibility and reputation within your industry. Alternatively, you can sponsor a local event that appeals to your surrounding community. Local events like town halls, city hall or school board meetings are another great way to meet influencers. Your company’s opinion could be just the angle reporters need to complete an article. If you want to make an even bigger splash, hold a conference. Focus on emerging trends, thought leadership and special unveilings to attract reporters who want to break stories and stay on the cutting edge. Make sure you send a media advisor in the weeks leading up to an event and send a brief that gives reporters an idea of what they could write about should they attend. Announce and promote conference panelists, and build interest and attract attention with video meet-and-greets. It’s always good to give back, but corporate social responsibility is also a great way to generate coverage. However, make sure the action is genuine, sustainable and matches your company’s mission. 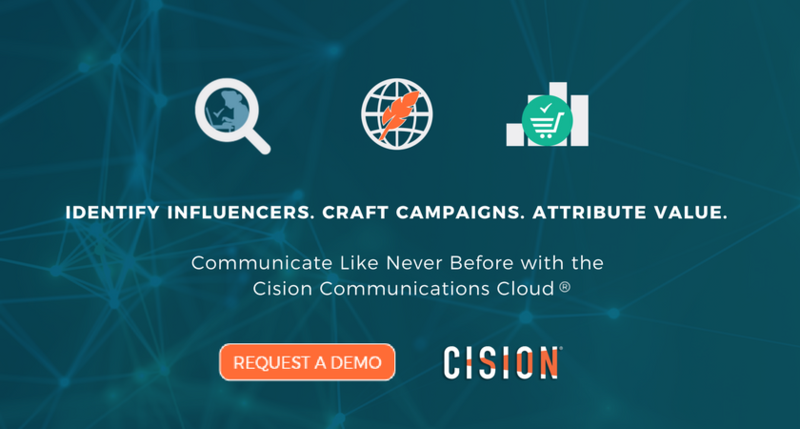 Use your media database to identify relevant influencers, search in-depth profiles to learn their contact preferences and personal pet peeves, study their work and keep track of who you’re targeting. Research pitching policies, too. Also, search editorial calendars. Mark down the dates of upcoming deadlines to prepare for future pitching opportunities, take advantage of lead times and stay on top of niche topics. Experiment with how you word your pitches, the topics you suggest, when you send them and more to see what works best. These days, most people pitch a reporter via e-mail. Customize your subject line, focus on the recipient first, summarize your story in less than two paragraphs and link to downloadable content. Many also like to go out for coffee. If you can get them out, make sure to discuss topics they’re currently covering, how they develop their stories, etc. Use this opportunity to listen, not pitch. What about phone? It can work, but only if you know the reporter likes taking calls. It helps if they know you well first. Follow-up on your pitches, but don’t just ask if the reporter received your email. Explain why your story is valuable and reiterate the most compelling information. Don’t hound the reporter, either. One follow-up is plenty. Remember to alert a reporter to breaking news. Provide your take on the story and offer to be a source. Reporters also want to hear from your customers. Work with sales to interview clients about how you’ve improved their lives. Getting more coverage isn’t easy, but it’s not rocket science. Stick these tips and you’ll see your media mentions pickup in no time.